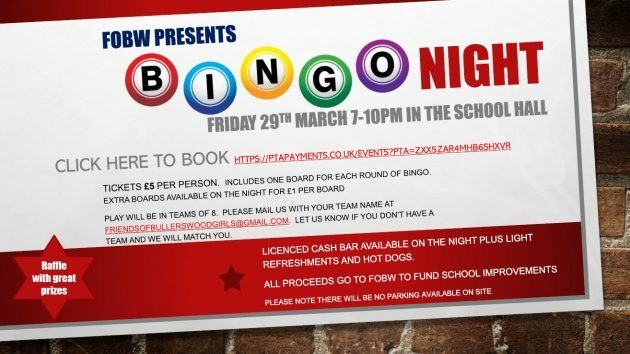 Friday 29th March, 7-10pm in the School Hall. Play will be in teams of 8. Please email your team name to friendsofbullerswoodgirls@gmail.com. Let us know if you don’t have a team and we will match you.